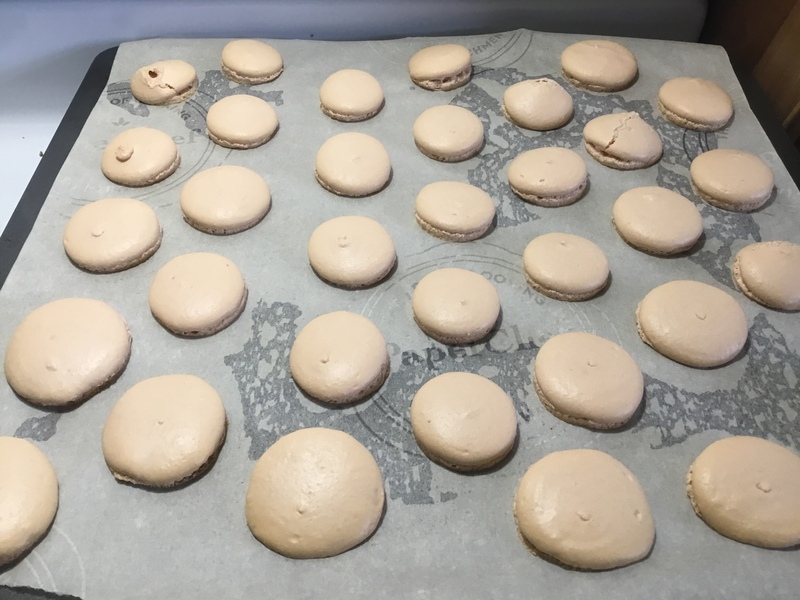 Have you ever attempted French Macarons? Or tried one? They are ridiculously delicious! 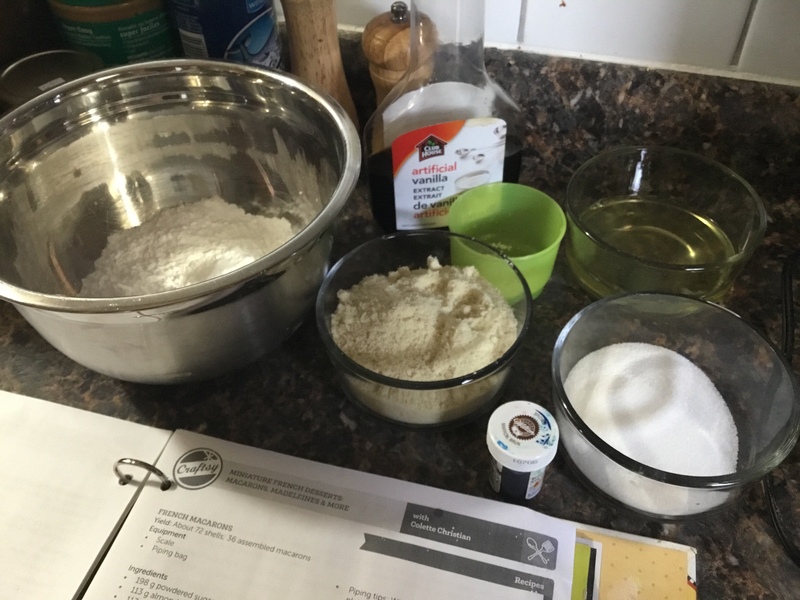 This is another one of the desserts I learned to make from one of the Craftsy courses. My husband absolutely loves them. So today I decided to whip up a batch and surprise him. 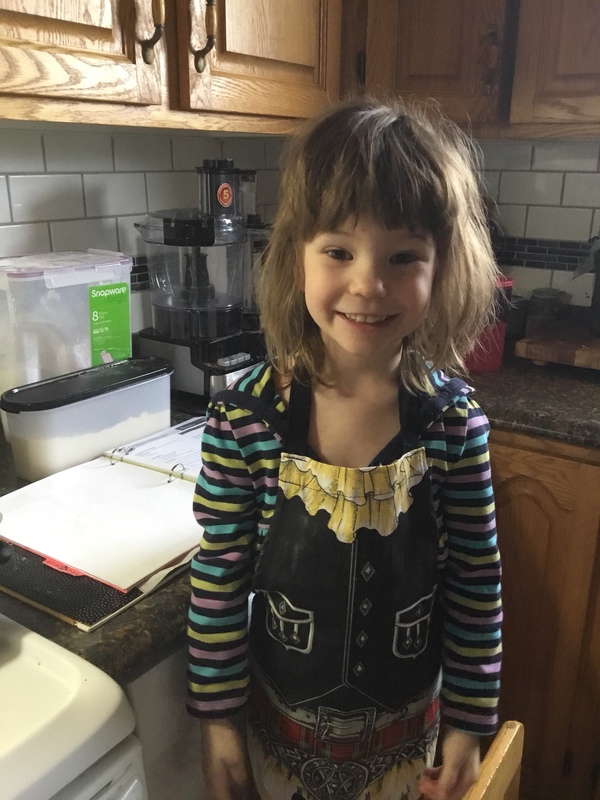 Of course, I had some help! 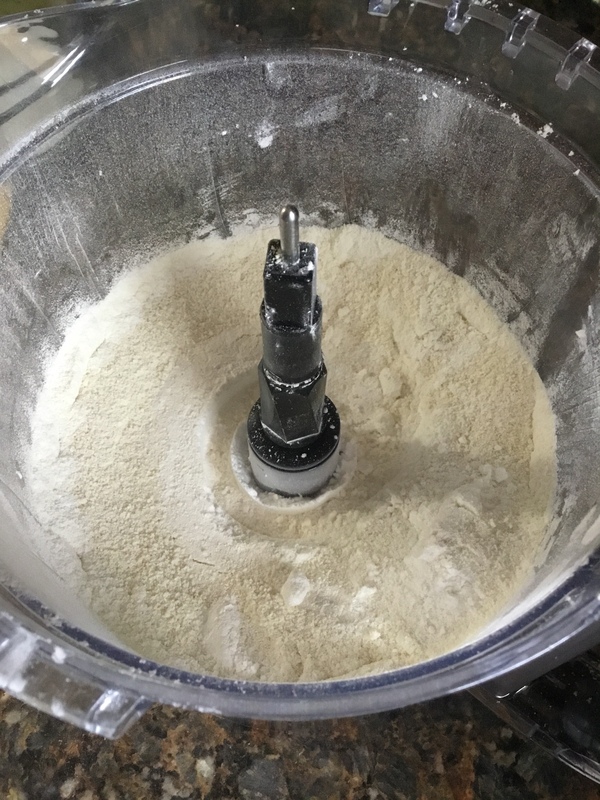 Next, we layered our icing sugar and almond meal in the food processor and pulsed it until blended. Up until this point, Mr. Moo had been napping. Of course, once he woke up he had to help too. 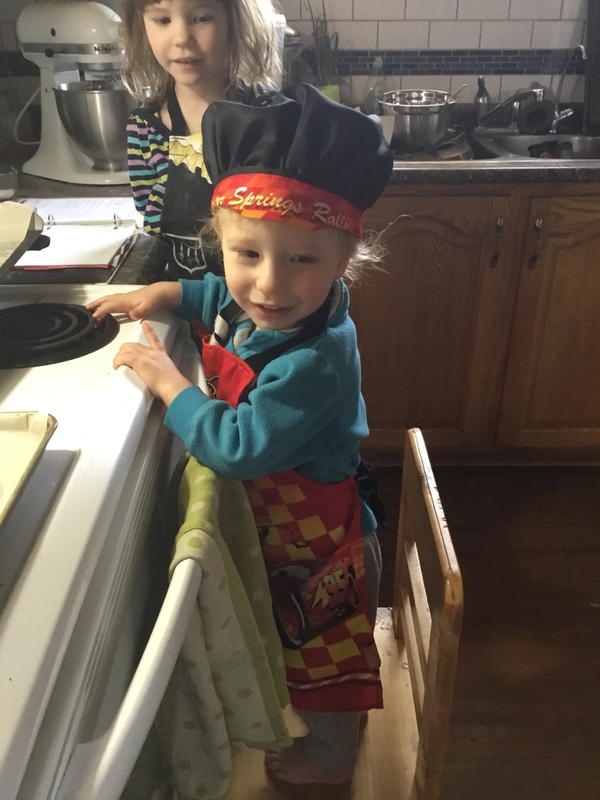 My mother-in-law got this adorable Cars apron and chefs hat for him because he is obsessed with vehicles and cooking! 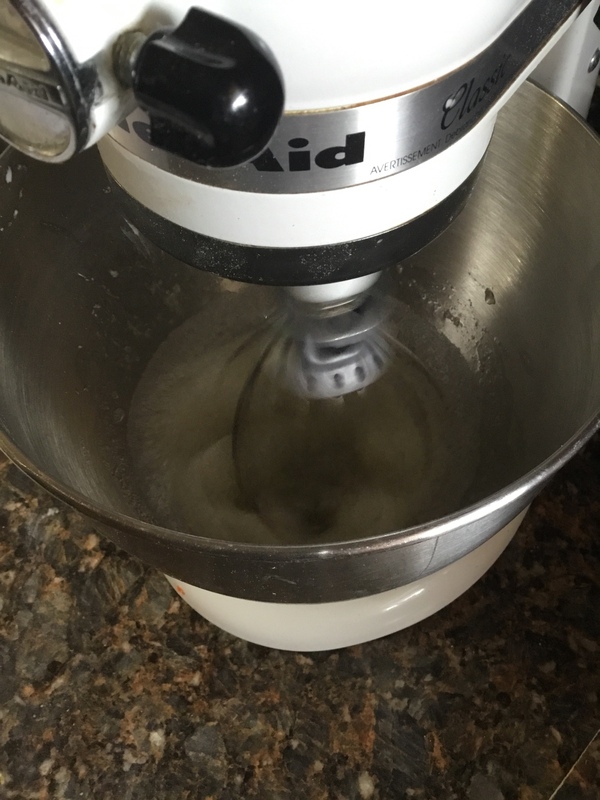 Next, we whipped our egg whites and cream of tartar until it resembled foam and there were no liquid eggs. Then we rained in our sugar slowly. It takes quite a while to get this beat to stiff peaks. The kiddos started to lose interest around this point. Which was really for the best. 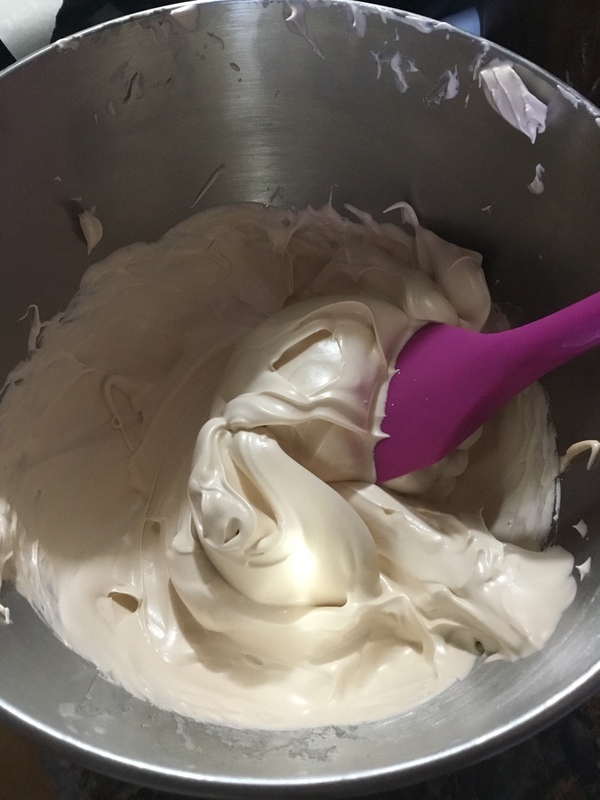 After the meringue is whipped it’s time to gradually fold in the almond meal/icing sugar mixture. In the course, you are taught to do this in three increments using a J-fold. Then comes painting the mix up the sides of the bowl a few times until it slowly slides down the sides. 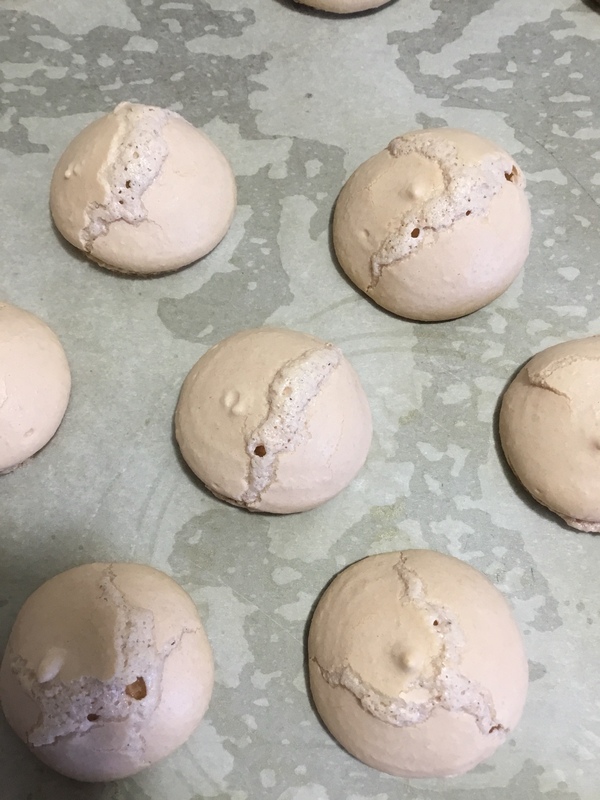 Pop the mixture into a piping bag and pipe your circles on a baking sheet lined with parchment paper. Typically I use a template under my parchment, but today I freehanded it. 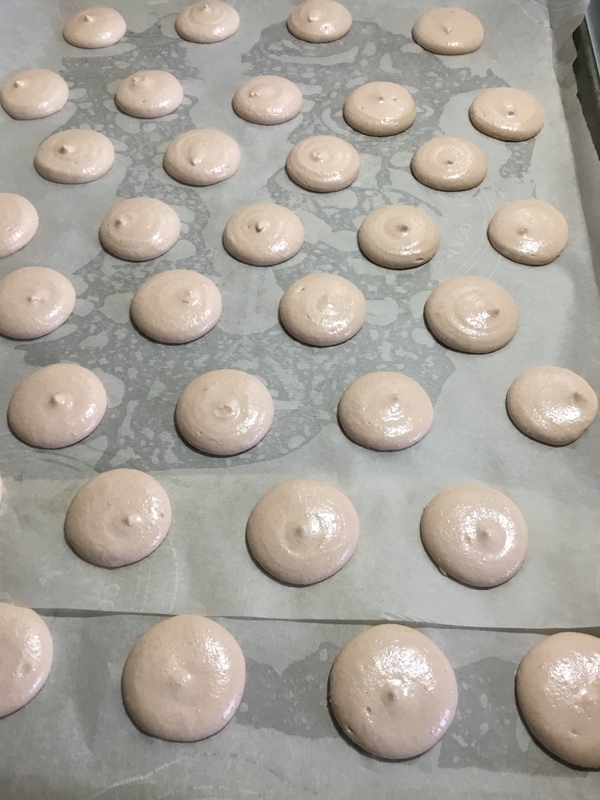 The Macarons need to cool 10 minutes on the tray before being moved to a cooling rack. While they cool you can make your filling. 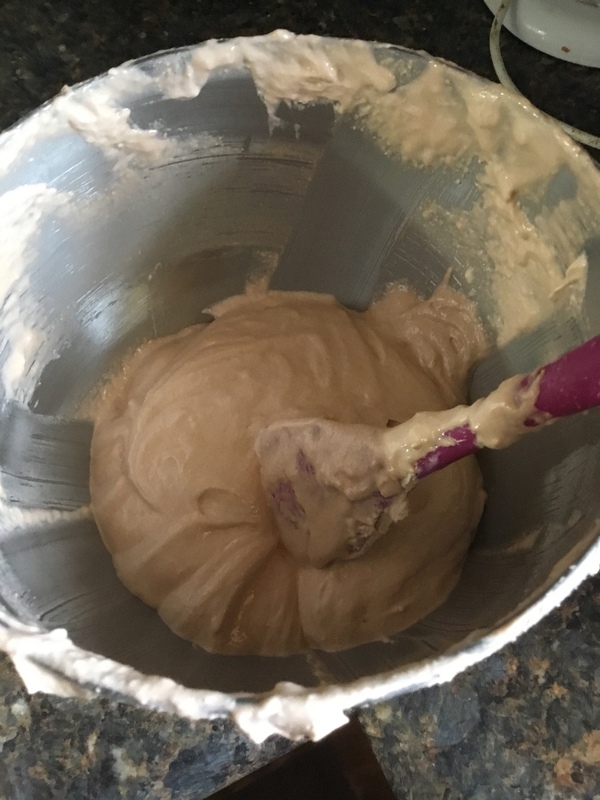 I’ve done a rosewater buttercream, salted caramel, and others but today we went for a simple chocolate buttercream. You just pipe some on a cooled shell, and top with a shell of similar size. 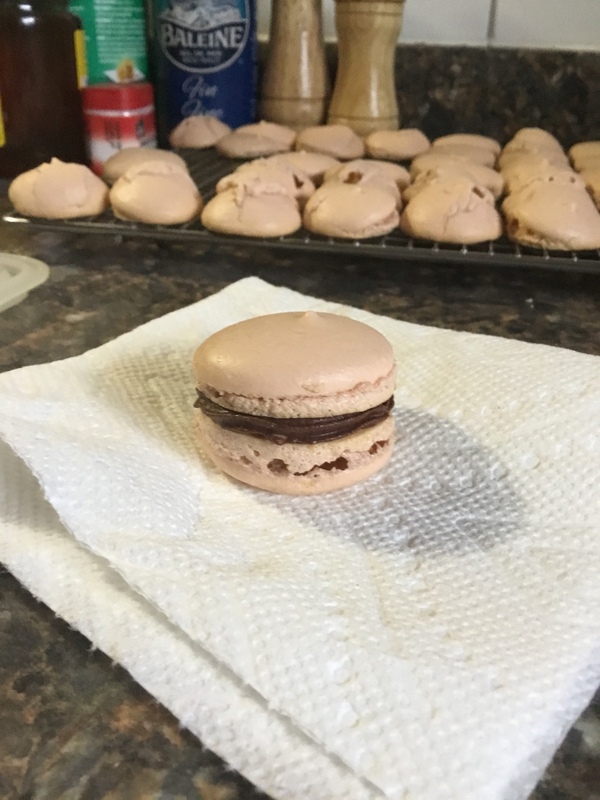 Here’s our finished macaron. They were enjoyed by all! Previous postNaan Bread Turned Pizza! Next postSometimes, we just play in mud!